Over our last couple of trips to San Diego, we’ve been undertaking very scientific pursuits–a survey of the city’s taco joints. The nuts and bolts of this study are pretty straightforward: We grab a group of friends and then hit a bunch of Mexican food joints, eating our way through a neighborhood. Tough work, but someone has to do it. 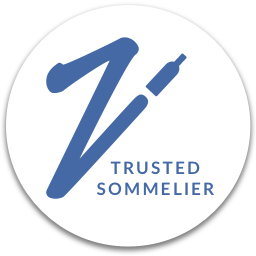 We have an expert on the ground masterminding our journeys. Our good friend, Dave Lizerbram, has helped us scout out the best spots to hit. He hosts a great podcast on business and creativity called Products of the Mind. Check it out. 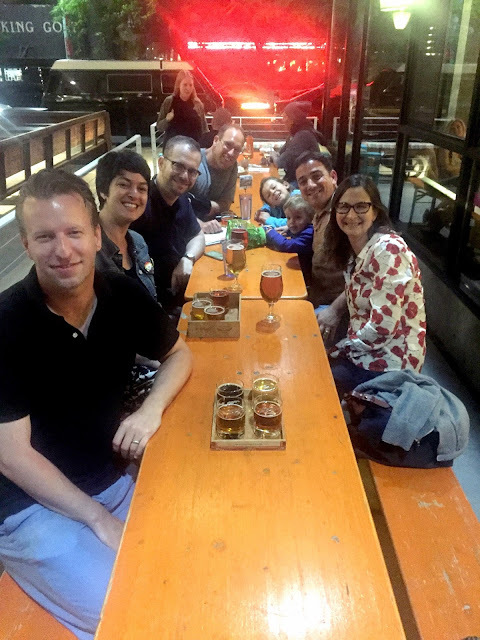 Our first expedition took us through North Park–a neighborhood that has undergone amazing revitalization in recent years. Greg’s memories of this area while he was growing up were pretty lackluster. (To be fair, he probably wasn’t doing much exploring on his own as a kid.) Nowadays, this part of town is completely bustling in the evenings with people heading to all of the lively restaurants and bars lining the streets. And now let’s get down to the delicious business at hand—tacos! 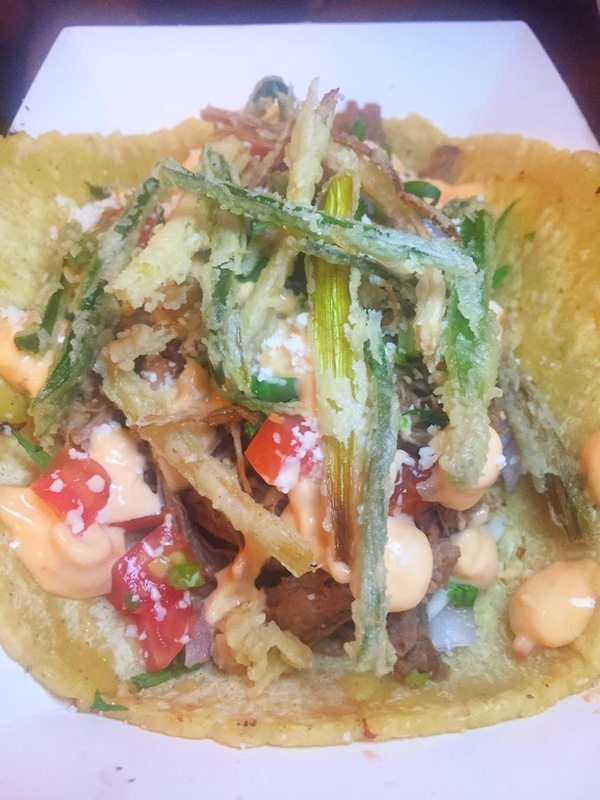 Ok, so strictly speaking tostadas are not tacos, but they’re pretty much first cousins. 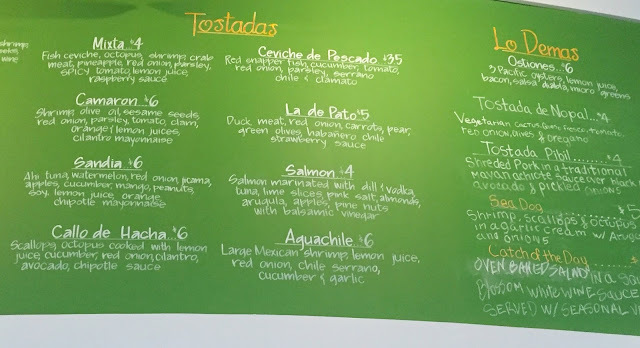 The creations at Tostadas are some of the most beautiful and delicious versions I’ve had. Each one was carefully constructed and piled high with gorgeous fresh ingredients into pretty little works of art. The combinations of flavors were really interesting as well, like topping duck breast with habaneros and chiles and strawberries, for a great hit of heat and sweet refreshment in one bite. 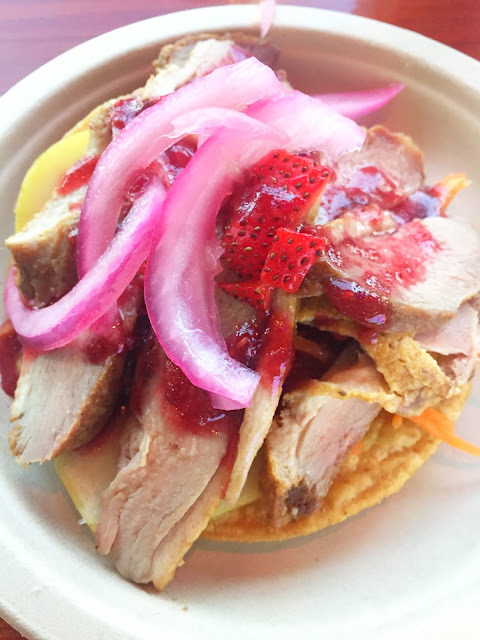 La de Pato: Thinly sliced duck breast, red onion, carrots, pear, green olives, habanero chile strawberry sauce. While there’s a little of everything, the bulk of the menu was made up of seafood options. 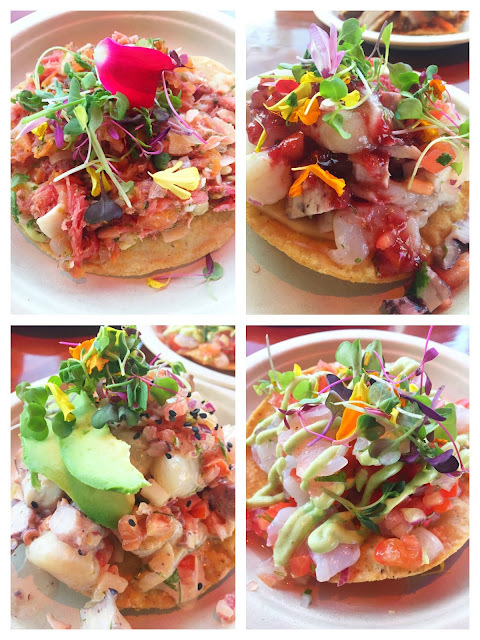 You can’t really go wrong—beautiful ceviches all around. To drink there are wonderful juices, aguas frescas, as well as local beers and a selection of wines from Mexico. Stop two was Tostadas’ sister restaurant, City Tacos. Similar to our first stop, the ingredients here were super fresh and vibrant. 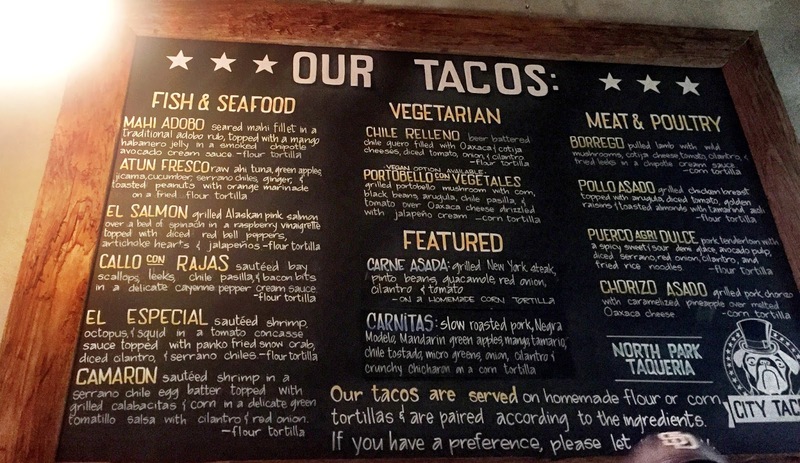 The tacos were beautifully put together in a way that expands your idea of what a taco can be. But they’re certainly not too pretty to eat, because it would be a horrible shame to not shove these babies right down your gullet. Scarf away! I love seafood tacos and The Especial had a little of all my favorites: shrimp, octopus, squid, and crab–all extremely fresh. Moving in a completely different direction, the Chorizo Asado was straight up comfort food with saucy, drippy chorizo topped with pineapples. (In Venezuela, it’s really common to top savory street foods with pineapple sauce, so this hit home with me.) I also love lamb, so the Borrego (pictured at the top) was right up my alley. This place hit all my taco sweet spots. 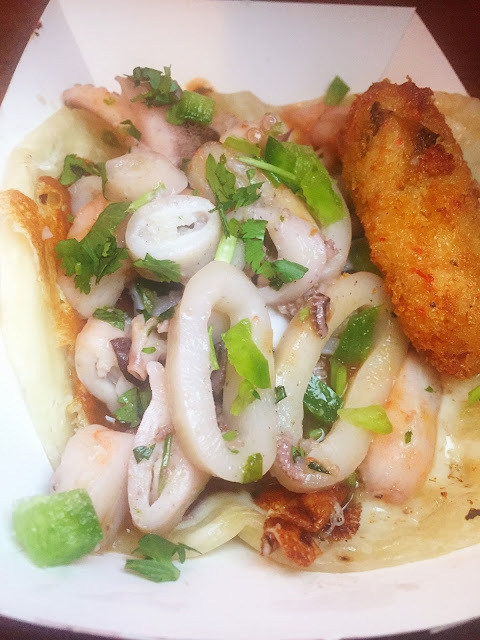 The Especial – Sautéed shrimp, octopus & squid, oaxaca cheese, tomato concasse, Panko fried snow crab, diced cilantro and Serrano chiles on a flour tortilla. 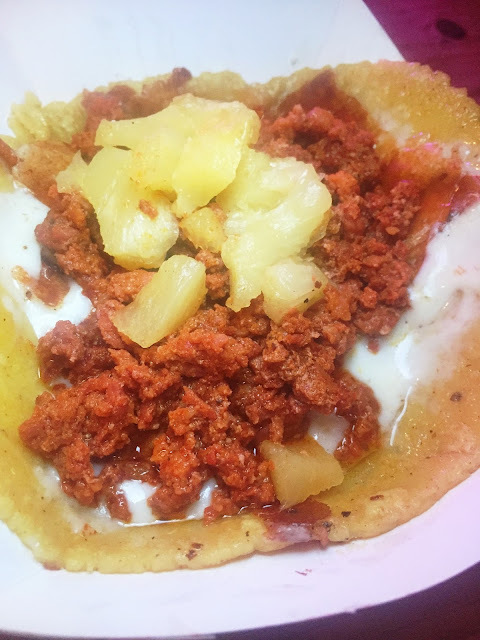 Chorizo Asado – Grilled pork chorizo with caramelized pineapple over melted Oaxaca cheese on a house-made tortilla. 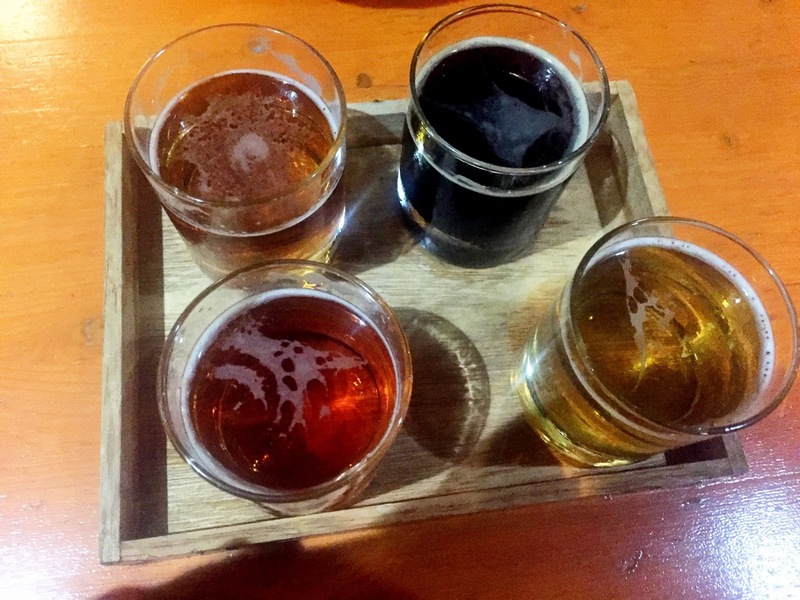 To quench your thirst, they offer a selection of SD and Mexican brews. The last stop on our first taco crawl was kind of a 2 for 1 combining Tacos Perla and Modern Times Flavordome, as Modern Times allows you to bring in food from Tacos Perla. We did just that while enjoying a sampler flight on their patio. If you’re hanging with kiddos, feel free to bring them along–Modern Times is cool with it as long you a keep an eye out. 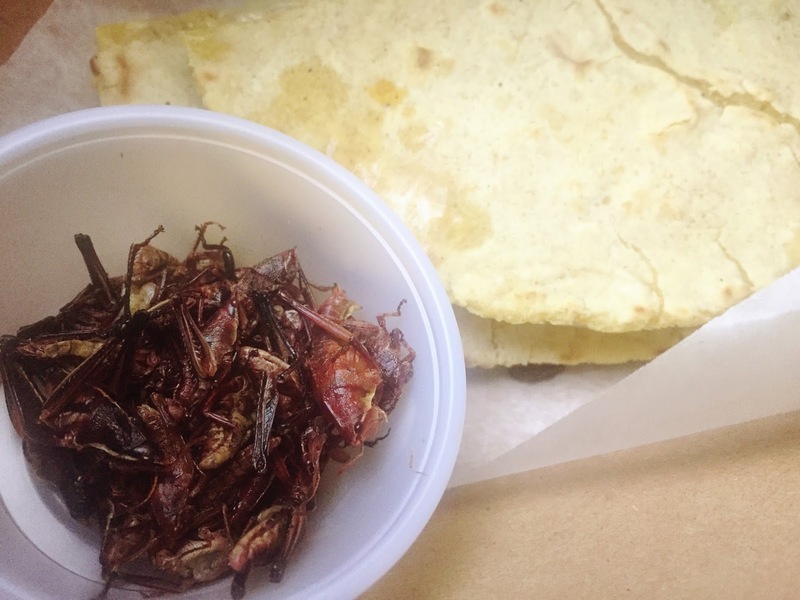 We went the adventurous route with our order at Tacos Perla and got a side of crickets to top the simple quesadilla. 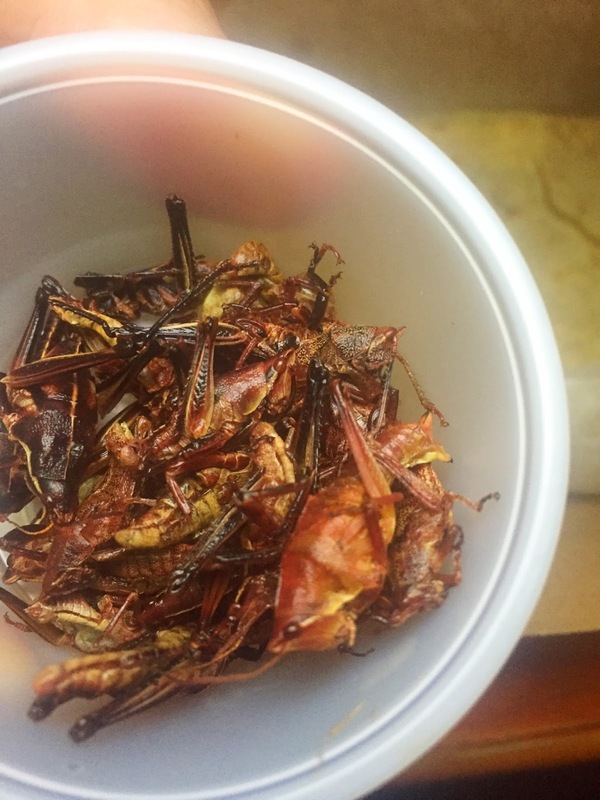 I’d never tried them before and they were actually pretty good–almost completely a crispy, textural thing. They added a little crunch to the the soft, cheesiness of the quesadilla in good tortillas. If you’re not up for the cricket adventure, no worries. They’re actually just a blip of the menu, so you have plenty of other good things to choose from. Incidentally, Products of the Mind has an excellent interview in episode #3 with Modern Times founder, Jacob McKean. Stay tuned for San Diego Taco Crawl Round 2, coming very soon. 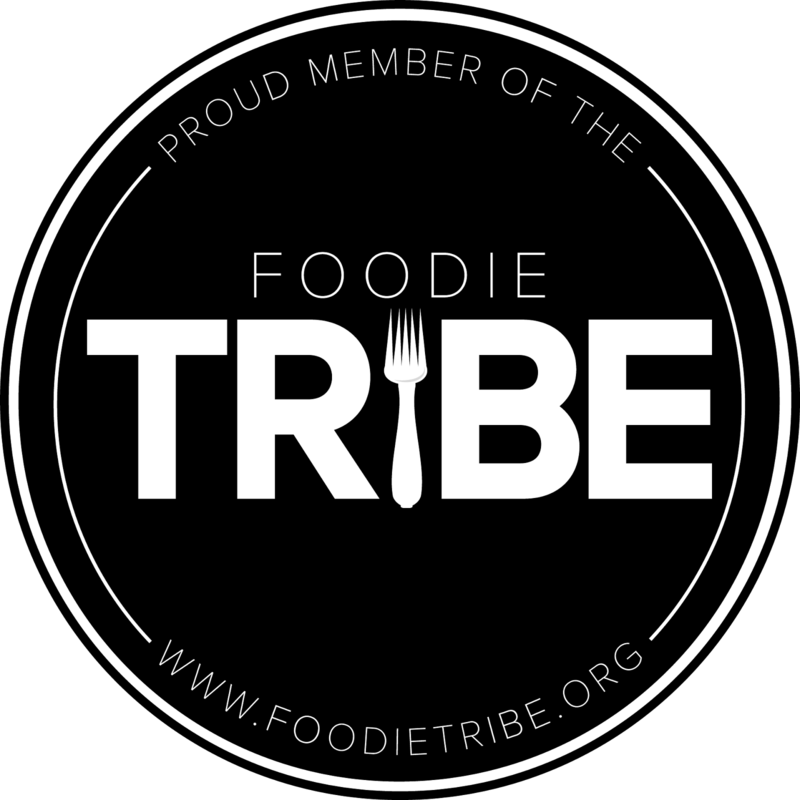 And if you have favorite places in the area, please share them–we head to San Diego fairly often and are always looking for new spots to hit!